You'll love this three (3) bedroom and three and half (3.5) bathroom, tri-level townhome. 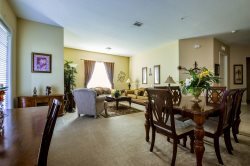 You'll walk into the foyer, laundry area, and third bedroom with private full bathroom on the first floor. 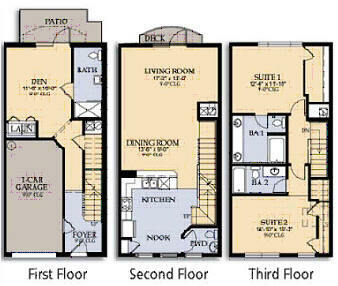 On the second floor you'll find the open floor plan of the living room, dining room, fully equip kitchen, and half bath. The master and second bedroom both have private full bathrooms on the third floor. All guests staying on property must be 21 years of age or older, except for children staying with parents.